This Oball Rattle has a large rattle ball inside that makes fun sounds. 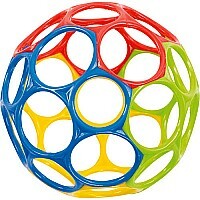 Does not contain BPA, PVC, latex or phthalates. 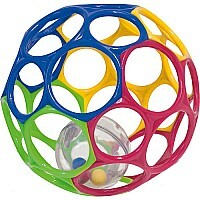 Comes in 2 colors; colors may vary. 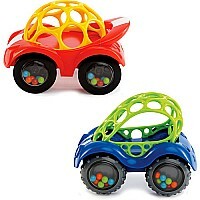 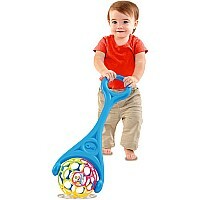 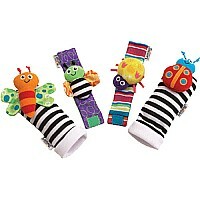 $17.95 Oball Rattle & Roll Cars - 4.3"
$11.95 Oball 2-n-1 Roller - 6"
$21.95 Oball INFANT - 4"